In the summer months the Green Bay Botanical Garden turns into a wonderful green oasis. A perfect place for wedding and portrait photographers. Throughout the years I have photographed many weddings and portrait sessions at the gardens in Northeast Wisconsin. 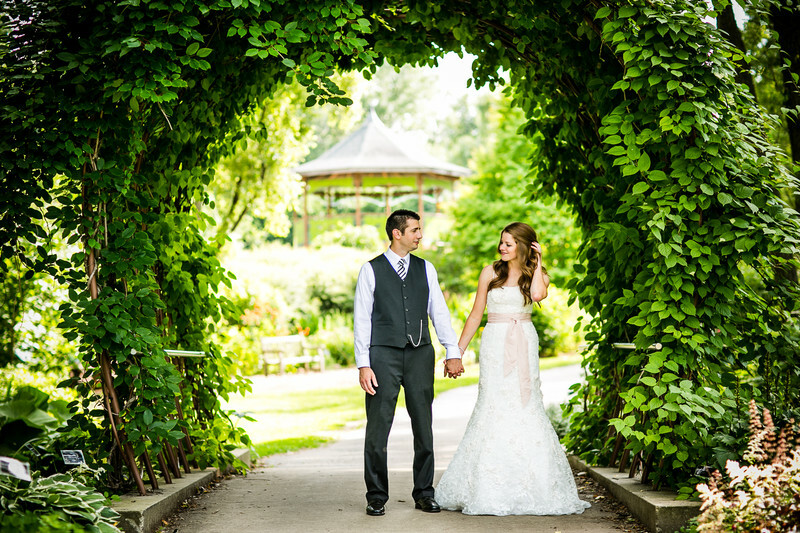 For this photograph we walked to one of the many vine covered arches in the grounds. Sometimes the unposed moments are the best. After shooting a couple portraits I gave them a short break and shot this little look. I love it! 1/320; f/2.0; ISO 100; 85.0 mm.